JK's Galleria of Vintage, Classic and Pristine Cars is honored to present a most breathtaking example of pure vehicle design decadence...this is the vehicle of dreams! 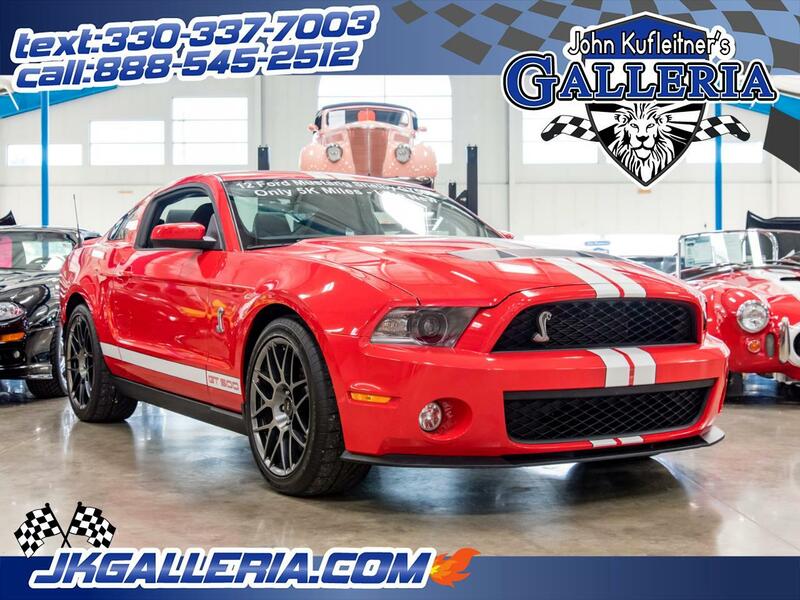 This pampered GT500 is in True Like New condition with Only 5k Miles on her! She has been stored in a temperature controlled garage and has never seen Rain or Snow! This car looks, Smells and drives like it just rolled out of the assembly plant. She is Completely stock with no modifications and has a Clean Carfax and Autocheck report. Loaded with the right options including SVT Package, Recaro Seats, Shaker 1000 Audio System With Sync and the GT500 Stripe Package all combined with a 550hp Supercharged motor and 6-Speed Tremec Transmission make This car the Real Deal! No Dissapointments! Backed By the Balance of the Ford Factory 5 Year 60,000 mile Warranty! Also remember we can facilitate shipping right to your door. We also take anything of value on trade and can obtain financing with almost new car rates!! What that means is the car of your dreams can very easily turn into a reality! Also remember we can facilitate shipping right to your door. We also take anything of value on trade and can obtain financing with almost new car rates!! What that means is the car of your dreams can very easily turn into a reality! Message: Thought you might be interested in this 2012 Ford Shelby GT500.